I am a foodie and according to me, for a grand weekend Friday night's dinner should be a splendid one. 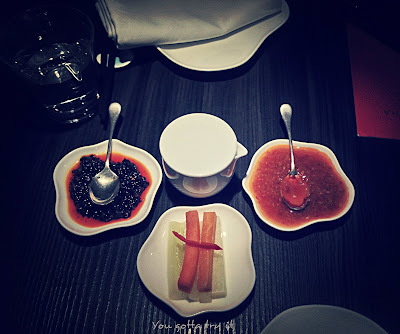 So when I got the invite for a food tasting session at Yauatcha, for the 21st Food Bloggers Association, Bangalore (FBAB) meetup , I didn't have to think twice as Yauatcha was always there in my wishlist. 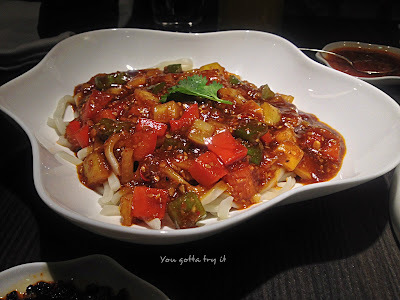 FBAB meetups are always interesting with fun, food and fellow foodies. Yauatcha is celebrating the Chinese New year with an interesting limited edition menu till 23rd Feb 2016. Yauatcha, London has been awarded a Michelin star for 10 consecutive years. Isn't it interesting? This is one place, which should not be missed, when it comes to fine dining. Situated in 5th floor of 1 MG Mall, Yauatcha has got very good ambience with urban,classy and minimalistic decor . Yauatcha is the modern portrayal for a traditional Chinese tea-house. When you enter restaurant you will spot an Origami monkey. According to Chinese Zodiac, 2016 is the year of Monkey; the 9th animal out of 12 in the Chinese Zodiac cycle. Monkey signifies confidence, innovation and enthusiasm. 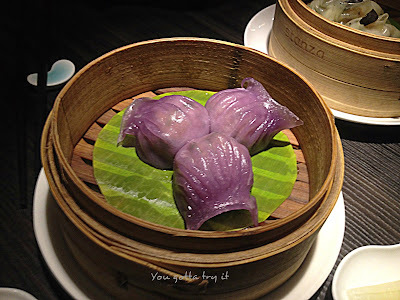 As Chinese New Year celebration is very popular, Yauatcha's limited edition menu offers amazing dim sums, main course, dessert and cocktail. 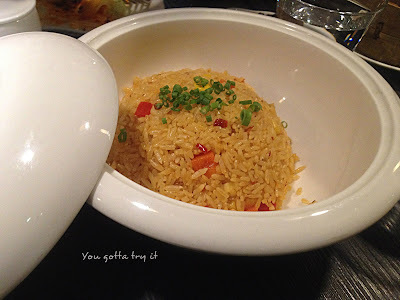 After taking couple of pictures, I was eagerly waiting to try out the new dishes from their menu. I opted for a drink to start with and within no time I got a wonderful cocktail from their specially crafted menu - Cherry Chaser which was Gin based cocktail with Mandarin and Cointreau. 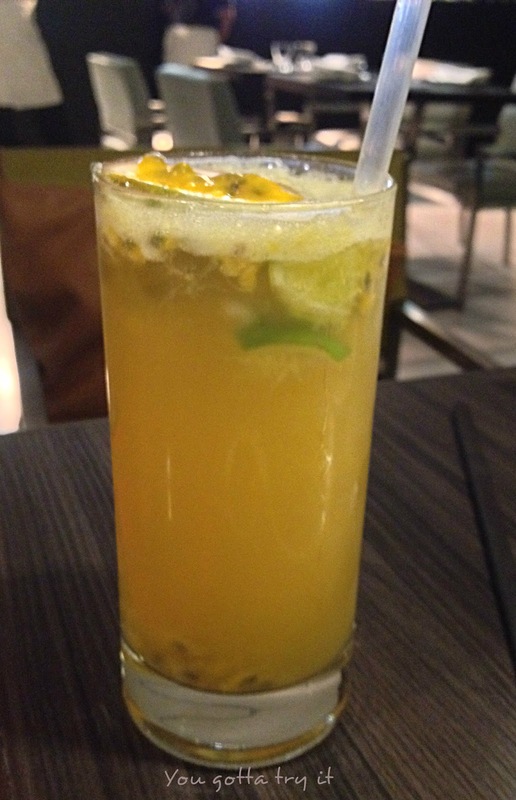 Cocktail was very refreshing one. 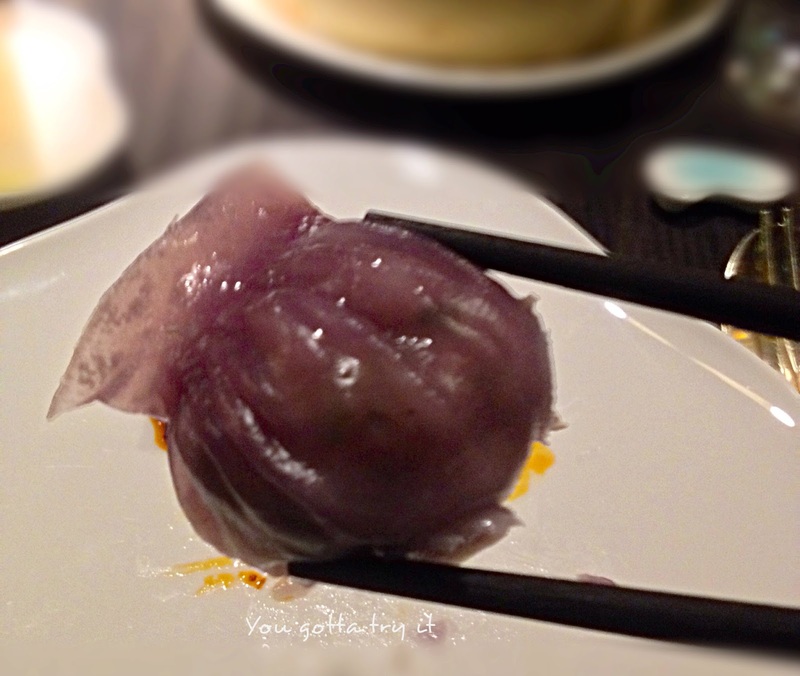 This pretty dumpling was soft and succulent with its smooth paste of carrot and truffle filling like a custard. This one tasted very unique and with the accompaniments it was delicious to the core. I couldn't try this dumpling as it just vanished soon after we clicked it. All were curious about the kiwi and black olives combination in a dumpling. My fellow foodie friends who tasted it were so happy with this dumpling. They said perfect dumpling to start a meal. Next in front of us was the thin transparent crystal dumpling with colorful carrots,corn and curry filling. 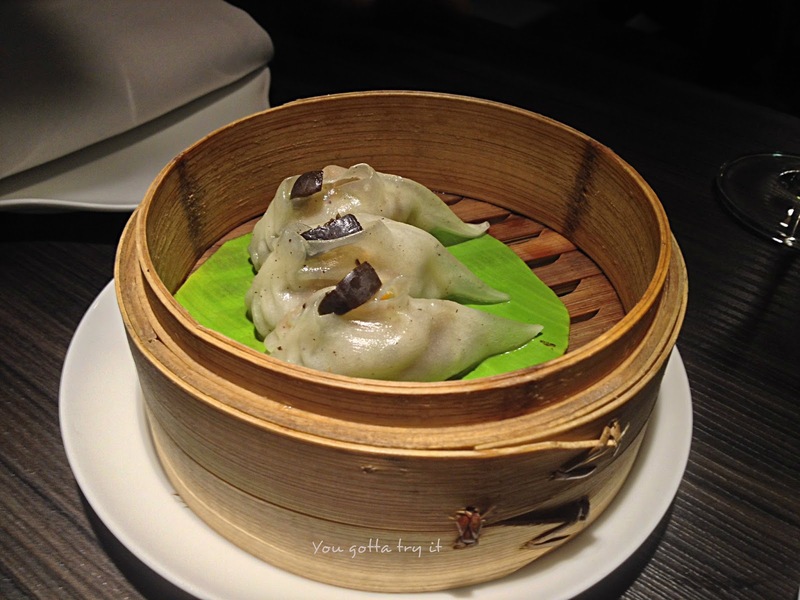 Corn, carrot and curry dumpling was enjoyed by both vegetarians and non vegetarians. Dim sum which took me to heaven for a while. 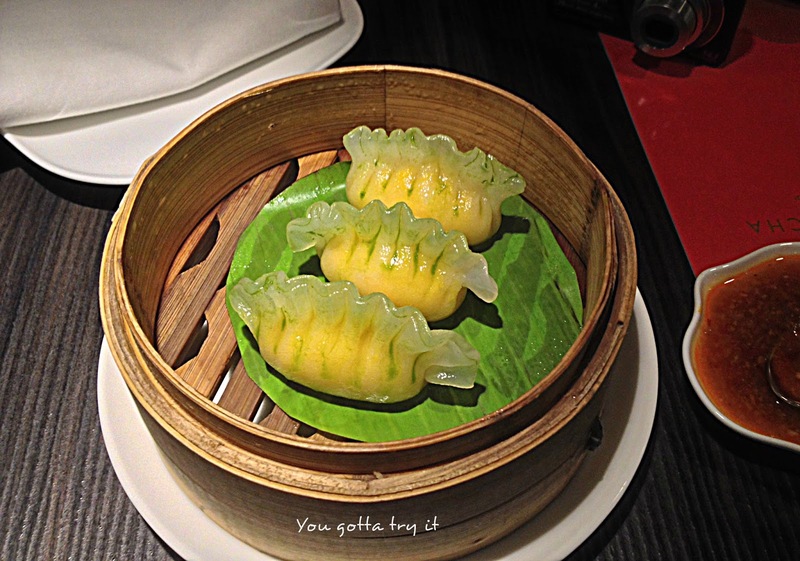 This cute juicy dim sum was rich in seafood taste with shrimp, crab meat, squid and sea bass filling. 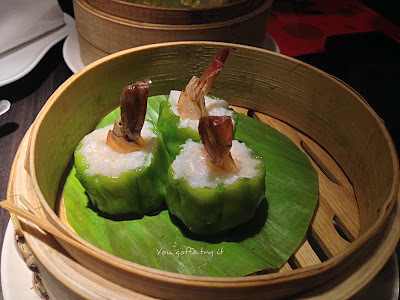 Perfect dim sum for the seafood lovers. 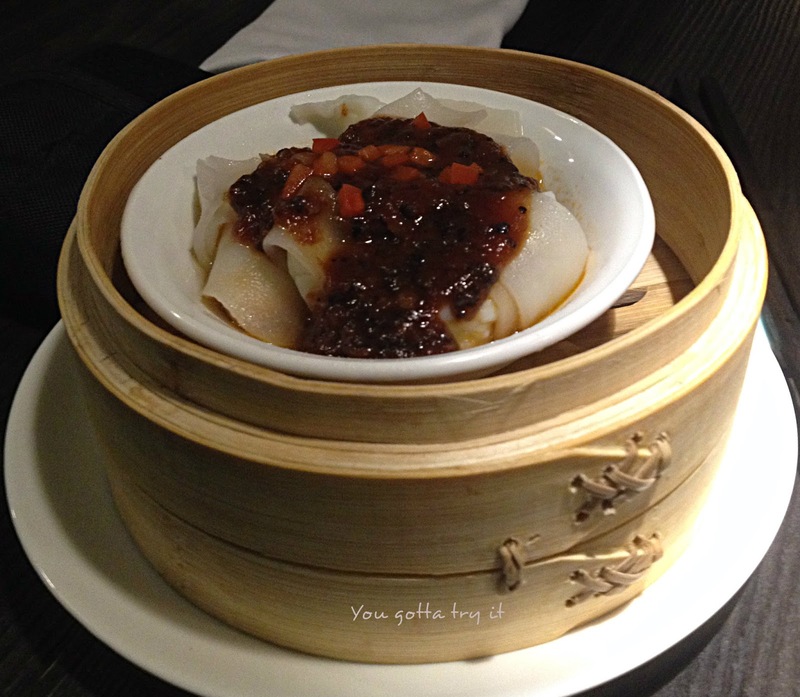 Fresh taste of rolled lobster dim sum in a sweet, tangy and a bit spicy black bean sauce was yet another favorite which tickled my taste buds. As a die-hard chicken lover, this dumpling was one of my favorite. 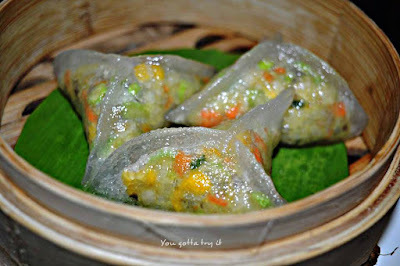 Small pieces of colorful dumplings with chicken and coriander filling and pleated one sided, will surely make you happy and go ga ga. By the end of the starters most of us mastered in using the chopstick. It was so much fun to use a chopstick. Wok fried lobster in Hunan style spicy sauce, and Braised pork belly in spicy yellow bean sauce with cigar mantou roll. Every dish from the main course was absolutely scrumptious. Udon noodles covered with vegetables prepared in Mahlak sauce which was prepared with Szechuan pepper and dry red chilies. Mock chicken? Are you serious? This was the first thing came to my mind. But true to its name it was purely a pleasure indulgence for the vegetarians and non vegetarians, both. 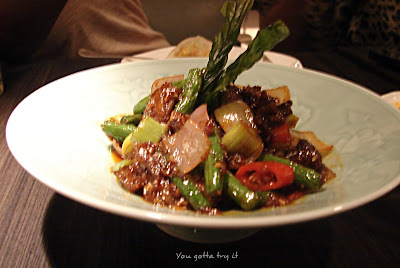 Chunks of spicy stir fried soya along with vegetables prepared in Hunan sauce. Perfect dish to have with fried rice. Wok fried succulent pieces of lobster in Hunan style spicy sauce is definitely a must try dish along with other main dishes. 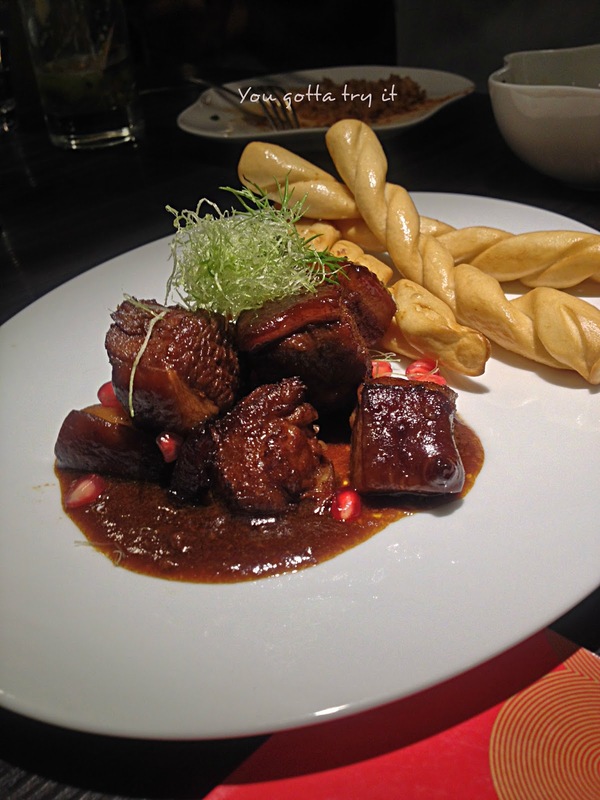 Even a non pork eater like me could not resist by seeing the gorgeous looking stacked pieces of braised pork belly. I tried this and it gave me an immense pleasure of having pork belly for the first time, which was a super dooper hit. From the pic itself one can make out how divine this dessert was :) According to me the show-stopper. 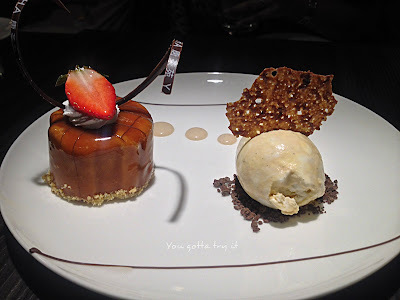 Crunchy sticky Caramel with a scoop of honeycomb ice cream. OMG! this was sinfully delicious. We congratulated the Chef who created this marvelous dessert and was stunned to hear that he took 5 hours to create this beauty. Must try dessert for sure. 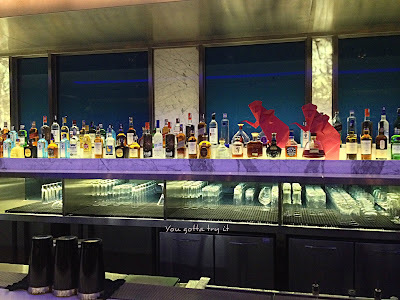 Yauatcha has an amazing bar counter which is simply loaded with premium liqueurs and pretty glasswares. 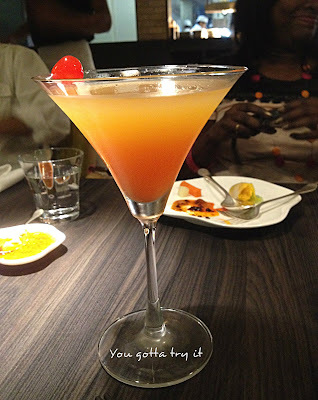 Though there were enough mocktails and cocktails to spoil us, we opted for Passion fruit mocktail and the limited edition cocktail, Cherry Chaser. Both were made of fresh ingredients and tasted so good. 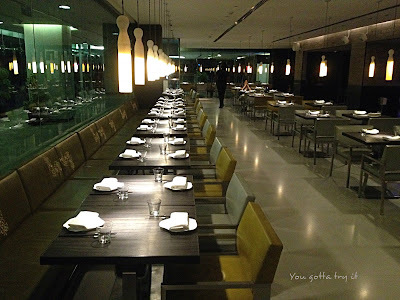 Overall my experience at Yauatcha is not going to be a one time experience. 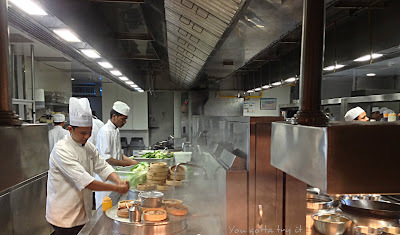 Next time when I crave for dim sum I know which place to hit first. Yauatacha's a la carte menu price is bit pricey and make a hole in your pocket. But who cares when you get a wonderful Cantonese treat in the form of dim sums and desserts. 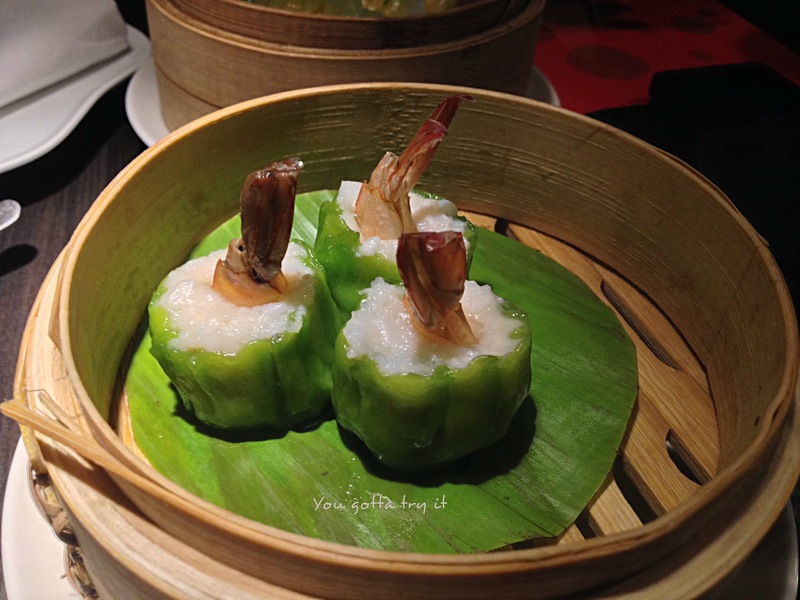 Chinese New Year celebrations at Yauatcha will continue till 23rd Feb, 2016. So book your seats and join for their Chinese New year celebrations at Yauatcha.